Eighty-six men live at the Guest House, a shelter for formerly homeless men, at 1216 N. 13th St. While they’re likely happy to have a roof over their heads, the windows are broken. The paint is chipping. The inside is crammed. But change is coming. 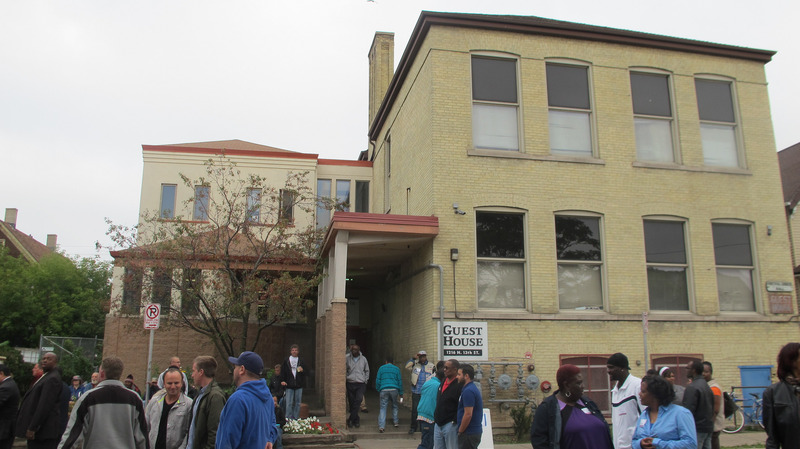 The Guest House of Milwaukee recently launched its Campaign for Hope and Dignity, an effort to raise $2.6 million to remodel the current Guest House facility and build an 8,000-square-foot addition. So far, $2 million has been raised. The Guest House offers homeless people more than just a bed. Each guest works one-on-one with a case manager to create an individual plan to overcome homelessness. 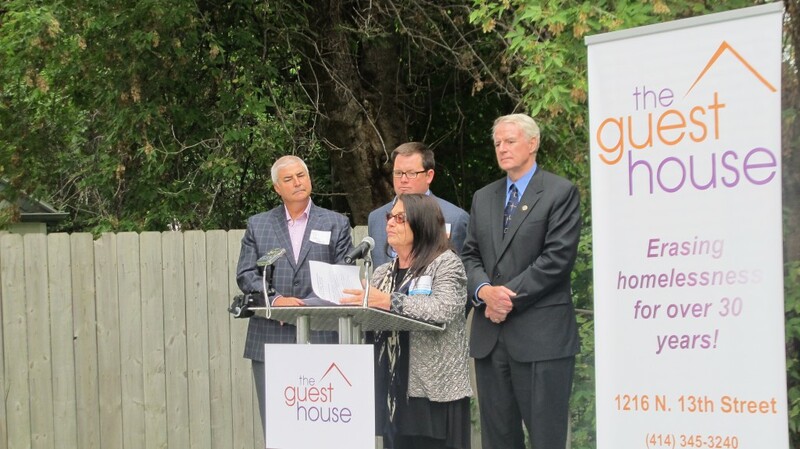 In addition, the Guest House provides hot meals each night, an on-site mental health and substance abuse counseling clinic, permanent housing support, and job training and employment assistance. The building addition will allow the Guest House to expand its clinic, create a commercial kitchen and provide more space for storage, beds and meetings. “Right now we have 60 beds squished in a small space. Now we will be providing more space to spread out the beds so it is not so crammed. More space is better and healthier for everyone,” said Anne Olson, the organization’s events and outreach manager. Vetter Denk Architects and Berghammer Construction will manage the project. At a recent groundbreaking ceremony for the building addition, the Guest House also dedicated a rainwater pavilion to water its urban garden. The pavilion is the first in the city under a new ordinance that allows urban garden structures on residential property, according to Olson. Daniel Ruh, a recovering alcoholic who has been homeless since 2013, has worked to create and maintain the urban garden. During the ceremony, the Zilber Family Foundation announced a donation of $500,000 to the campaign. The project is scheduled to be completed in May 2015.